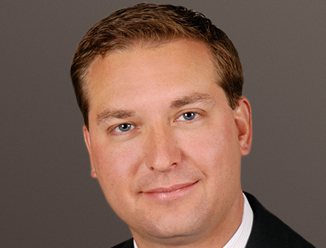 Chad Freese is currently an Executive Vice President at CBRE, joining the firm following its merger with Insignia/ESG in July 2003. Mr. Freese is one of CBRE's most prominent tenant representation brokers and is also a leader in the Life Sciences Group and Critical Environment Practice. Through Mr. Freese's perseverance and leadership, he is largely responsible for establishing CBRE's dominant market share in the suburban markets and maintaining a level two times greater than any competitive firm. Throughout this career Mr. Freese has been retained by several of Chicago's leading corporate tenants including Verizon Wireless, Career Education Corporation, DePaul University, Brunswick Corporation, Cargill, American Pharmaceutical Partners and US Cellular to evaluate and execute strategic acquisition and disposition requirements. Mr. Freese's clients benefit from his extensive background in financial modeling and analysis, lease structuring and negotiaton, and unparalleled market intelligence. Mr. Freese's foremost objective is to advise the corporate space user and implement the most aggressive strategies to maximize leverage within the marketplace. By applying his unique strengths, Mr. Freese has helped several corporations reduce their operating costs and strategically align their real estate requirements with their business objectives. In 2010, Mr. Freese was responsible for representing tenants in 3 of the 10 largest suburban transactions including the NAIOP 2010 Suburban Transaction of the Year. Mr. Freese was also the recipient of the Coldbert Coldwell Circle Award (top 3% in the Americas) for 2010.